When it comes to joining metal components together the most common methods make use of rivets, adhesives or welds. Here at Duggan Manufacturing we must rely on welding due to its versatility, speed and the relative ease of adapting the process to robotic automation. Put simply, welding is the process of fusing individual pieces of metal together through the application of heat. For most of human history this was done primarily through a process called forge welding. 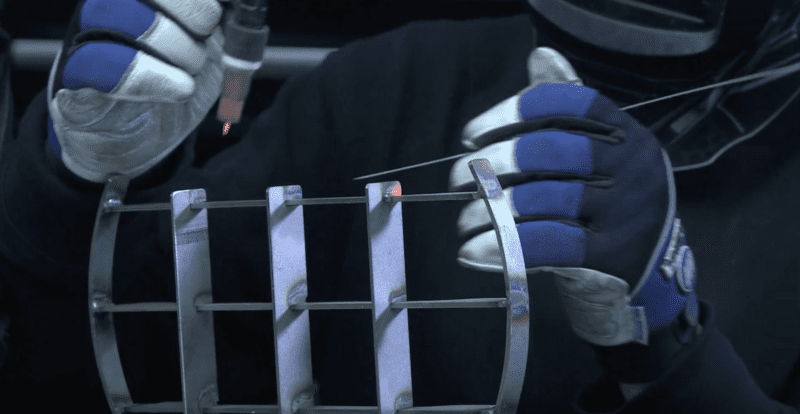 Today there are several forms of welding, each falling roughly within one of five categories: gas, arc, resistance, laser and solid state welding. Resistance welding is great for spot welds and is the most common type of weld in found in vehicles due to its production efficiency. Laser welding is great for joining dissimilar metals and only needs access to one side of the weld zone, making it a godsend when you need to create welded joints in places that are otherwise inaccessible. Making sure that we have the optimal welding toolset for any potential welding job from such a diverse client base means maintaining an arsenal of advanced hand welding tools, employing highly trained and experienced manual welders and having a battery of advanced robot welders on the floor. On top of that all of our welders are certified in multiple facets of welding as well as several different types of joints. We’re prepared no matter what the client’s project specifications are. And remember; respect your welders. Contact a Duggan Team member at sales@dugganmfg.com for more information or click here to give more details with a request a quote submit form or view our welding video here. You will be contacted within 24 hours of or call us at 586.254.7400 if you would like to speak to someone immediately.